Rolf Brendel studied Physics and Mathematics in Freiburg, Brighton (UK), and Heidelberg. After his Ph.D. in materials science at the University Erlangen-Nuremberg he worked for five years with the Max Planck Institute for Solid State Research in Stuttgart. He is the head of the division for Thermosensorics and Photovoltaics at the Bavarian Center for Applied Energy Research (ZAE Bayern) and teaches Physics at the University of Erlangen-Nuremberg. 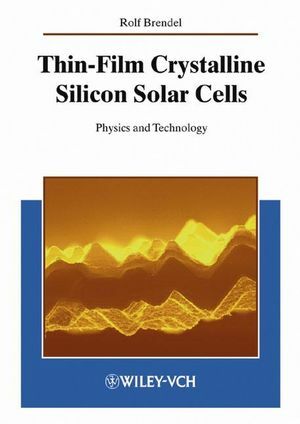 "In conclusion, this is probably the first book to offer a comprehensive treatment of the specific problems of thin silicon solar cells. It can be warmly recommended to those interested in the development of an emerging aspect of silicon photovoltaics."